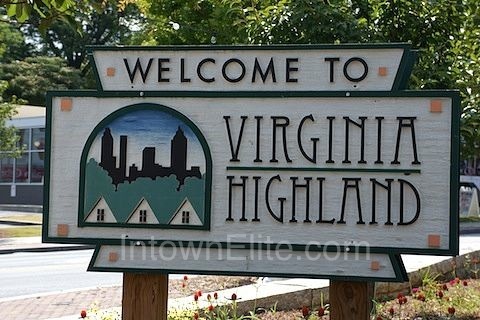 Sometimes informally (and incorrectly) referred to as "The Highlands" or abbreviated as "Va-Hi", its name derives from the intersection of Virginia and North Highland Avenues. Like many of Atlanta's first suburbs, Virginia-Highland developed along the trolley lines of the Atlanta Street Railway Company, which opened this area to development in 1890. Atkins Park was one of the first portions of Virginia-Highland developed, conceived in 1908 and completed in 1912. Today, in addition to several thousand homes, Virginia-Highland boasts dozens of restaurants, pubs, and shops, and hosts its own festival, Summerfest, the first weekend of June each year. Virginia Highland is located east of Midtown, west of Druid Hills, north of Poncey-Highland and south of Morningside.